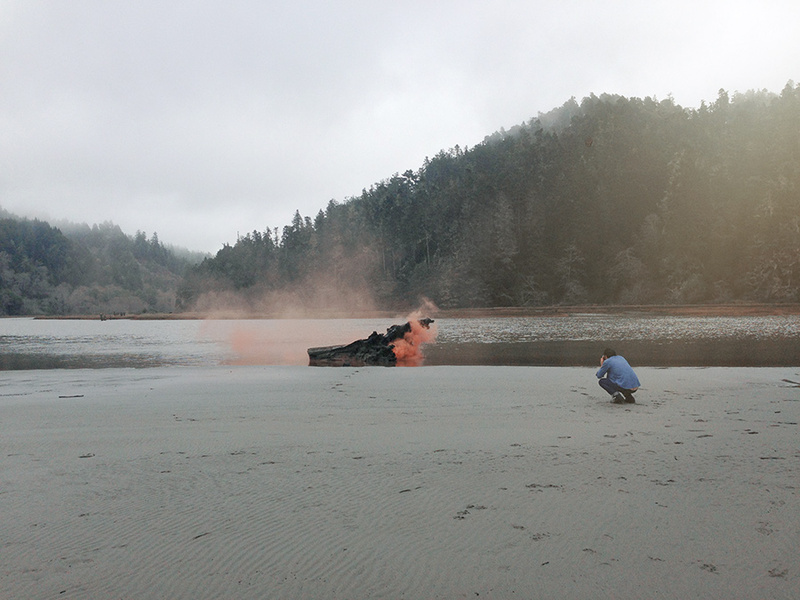 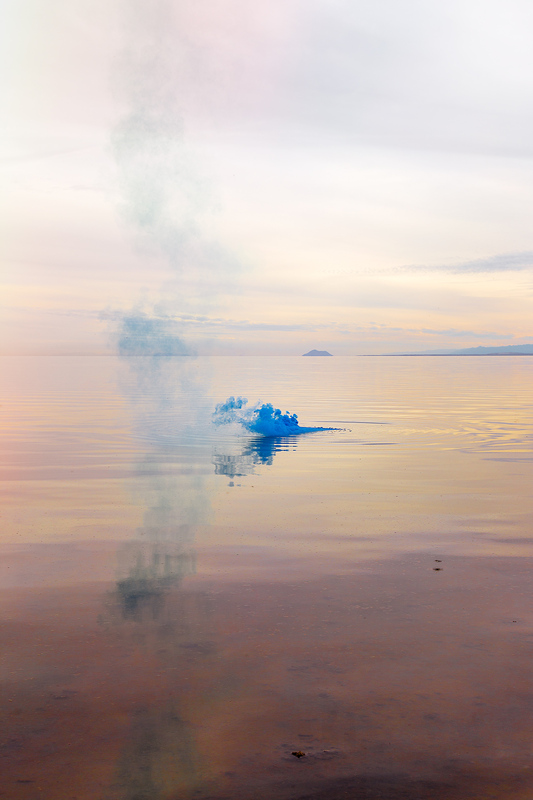 Silence Shapes from Filippo Minelli on Vimeo. 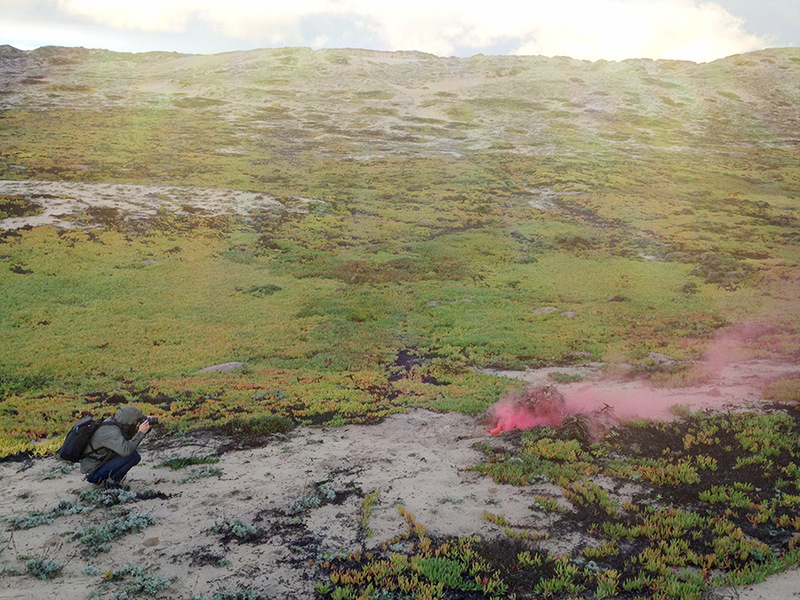 *Update. 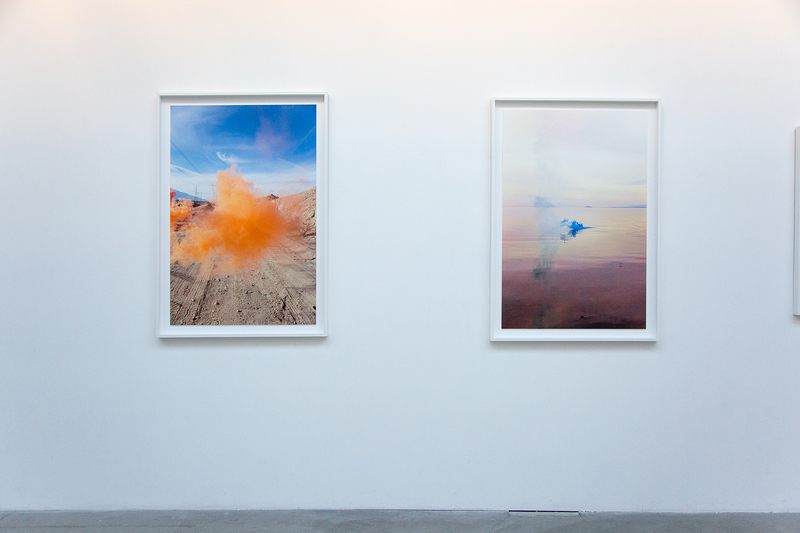 Here is a set of installation pictures from the installation of “Nothing to Say” Filippo Minelli’s exhibition at 886 Geary Gallery which runs until Feb 7th. 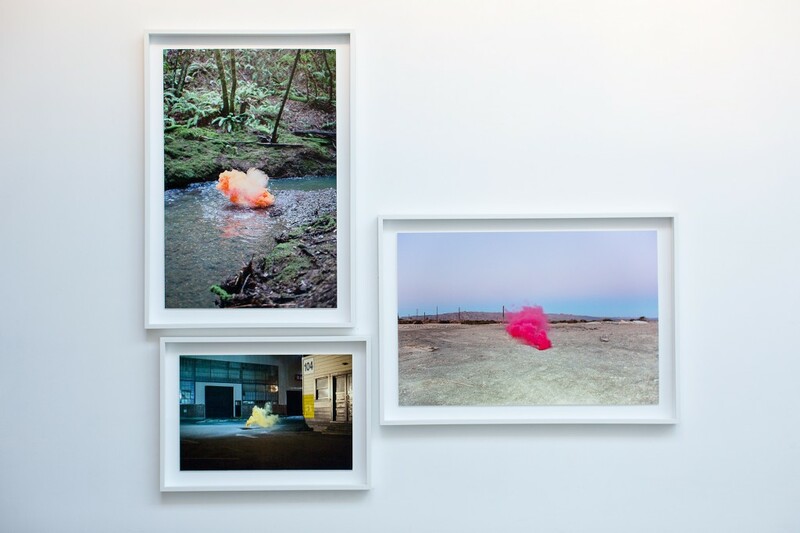 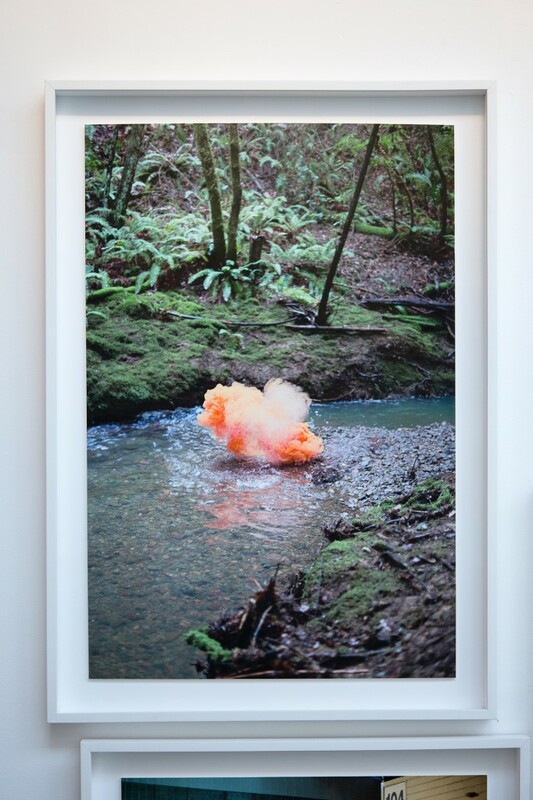 We open 2015 with a preview post about Filippo Minelli’s first solo exhibition in the US as well as 886 Geary‘s first exhibition at its new space in San Francisco. 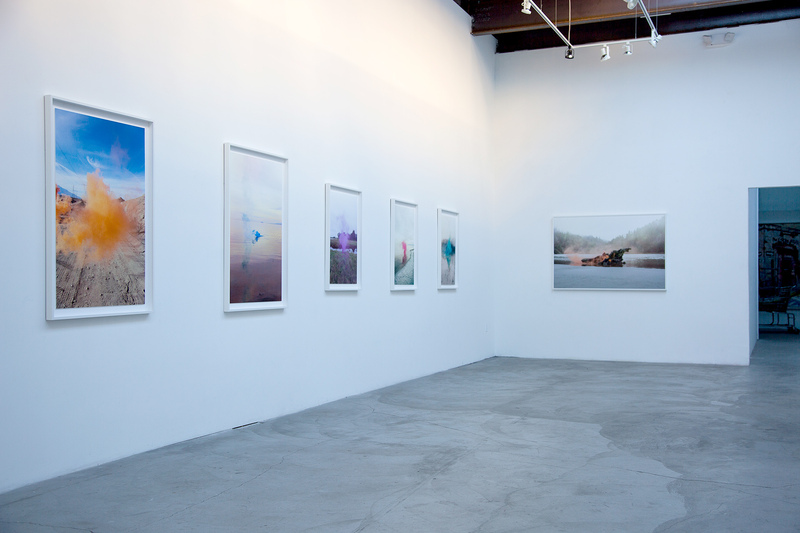 886 Geary is curated by Poesia and Graffuturism focusing 2015 on emerging artists within the Urban and Contemporary art fields. 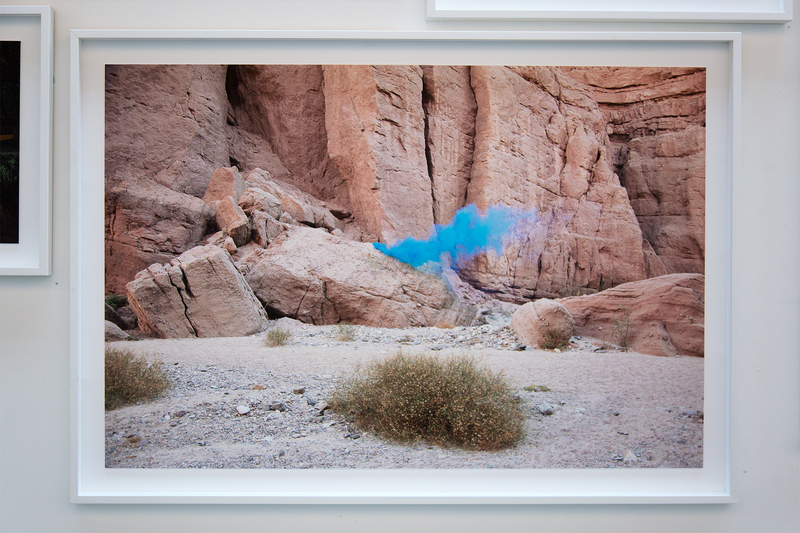 Filippo Minelli arrived in California’s Coachella desert area working in residency for a special project in the desert. 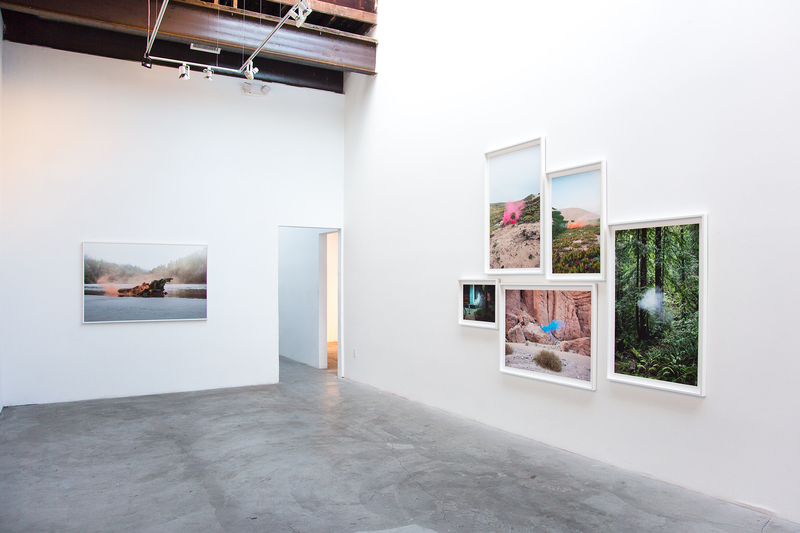 He then traveled along California’s beautiful Highway 1 north capturing the California coast all the way to Mendocino County. 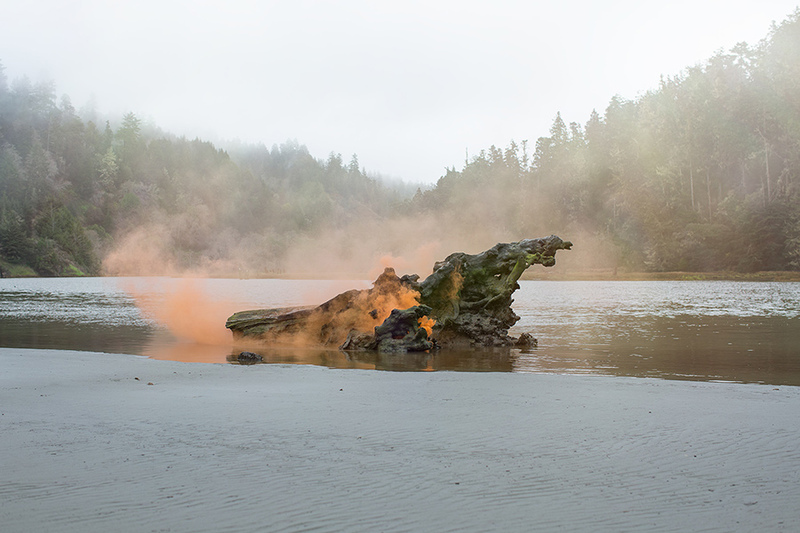 Working in solemn landscapes that invoke an idea of silence, Filippo’s interventions in this space are documented by photographs. 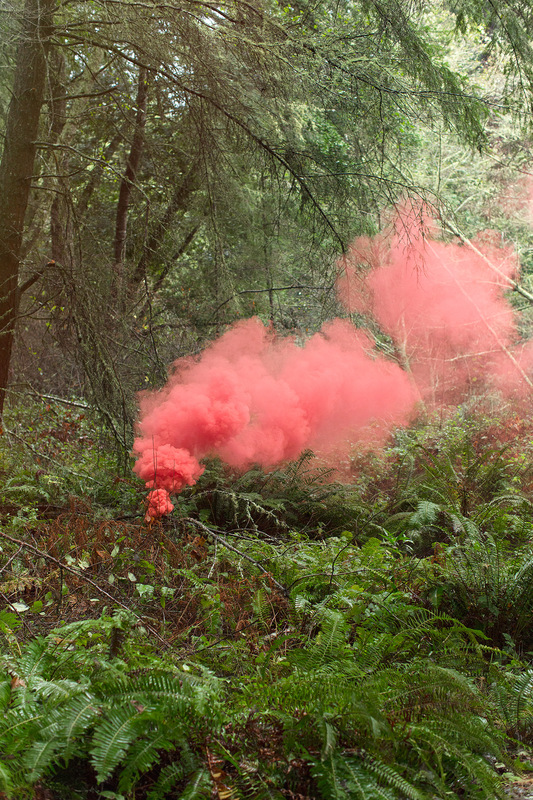 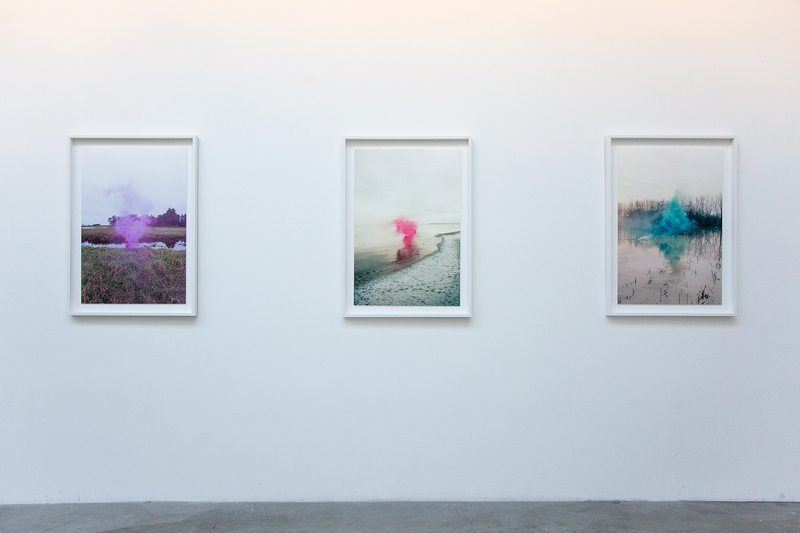 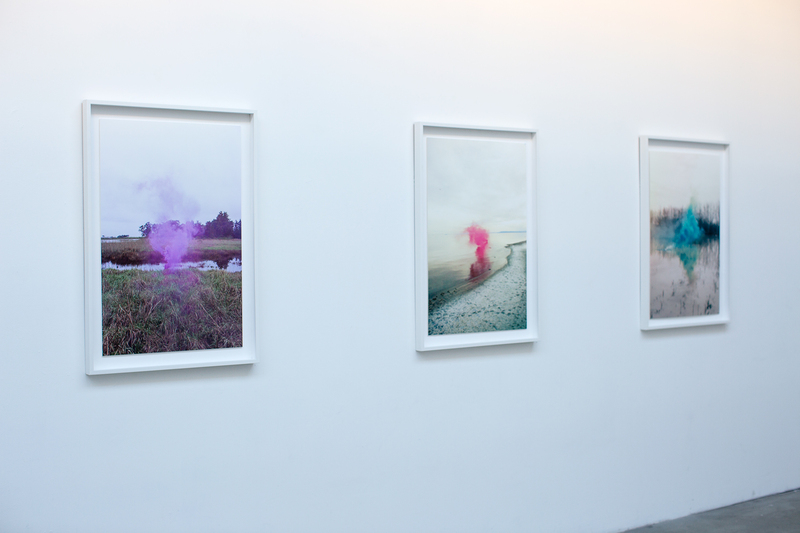 Vibrant hues of Smoke are placed in sublime landscapes in a series of work titled Silence Shapes, which are influenced by the artists observation of the medium used in volatile public protests. 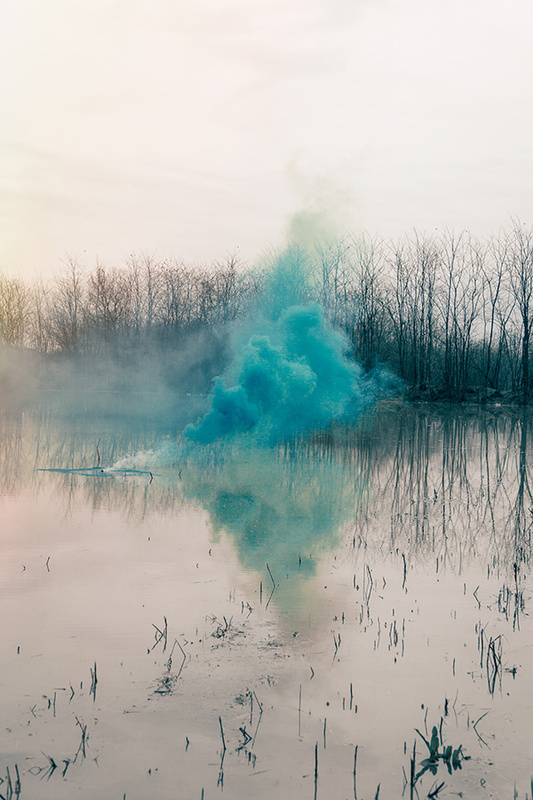 The juxtaposition of these smoke grenades as well as the vibrant palette against an urban and natural landscape has inspired the artist to recreate these moments of silence. 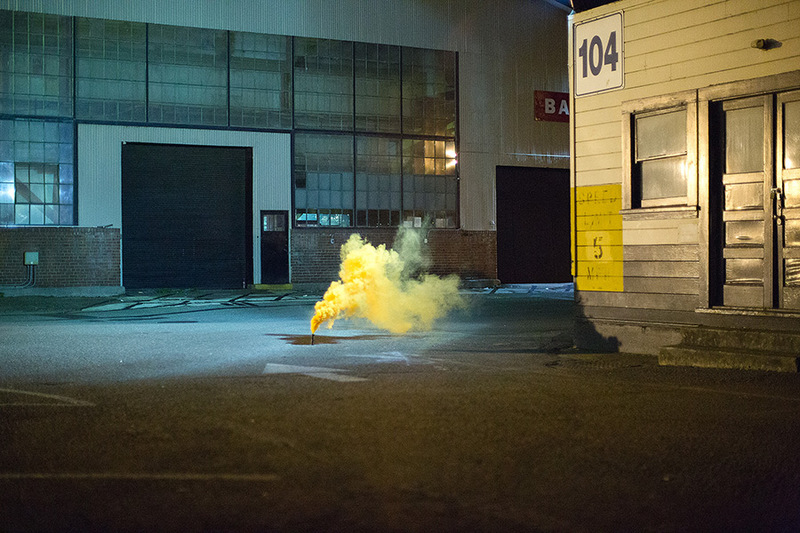 The effect of violent moments slowed down to a photograph capture not only the intervention of this act but also empower your senses and the ability to comprehend the image. 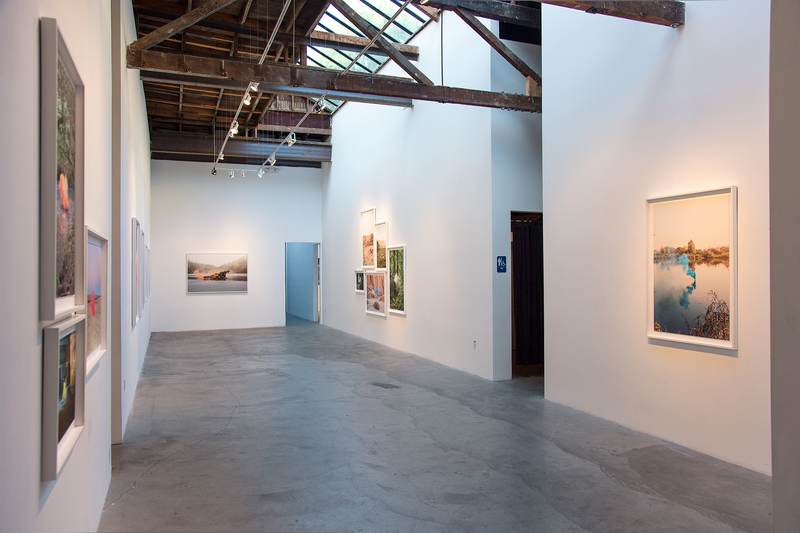 We will have a full recap after the opening but if you are in San Francisco make sure to stop by and support the new space and the artist. 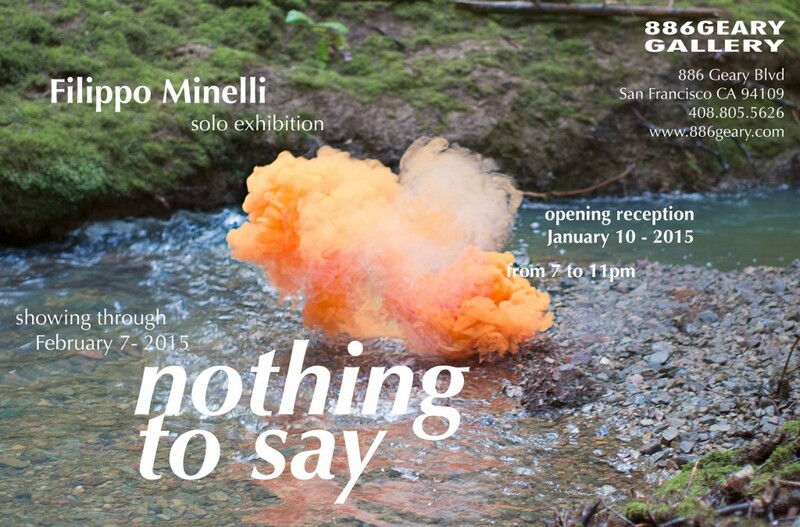 886 Geary Gallery is pleased to present Nothing to Say, a solo exhibition by Filippo Minelli. 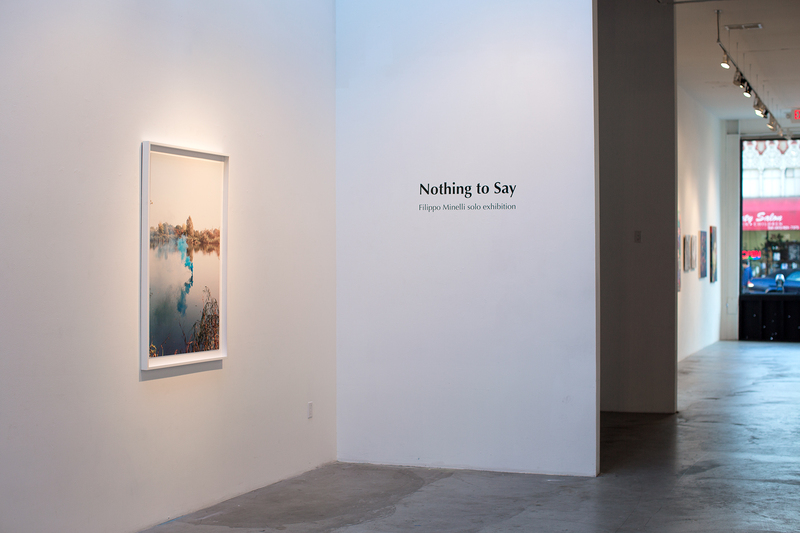 The opening reception will be Saturday, January 10th, from 7-11 pm, and the exhibition is free and open to the public for viewing through February 7, 2014. 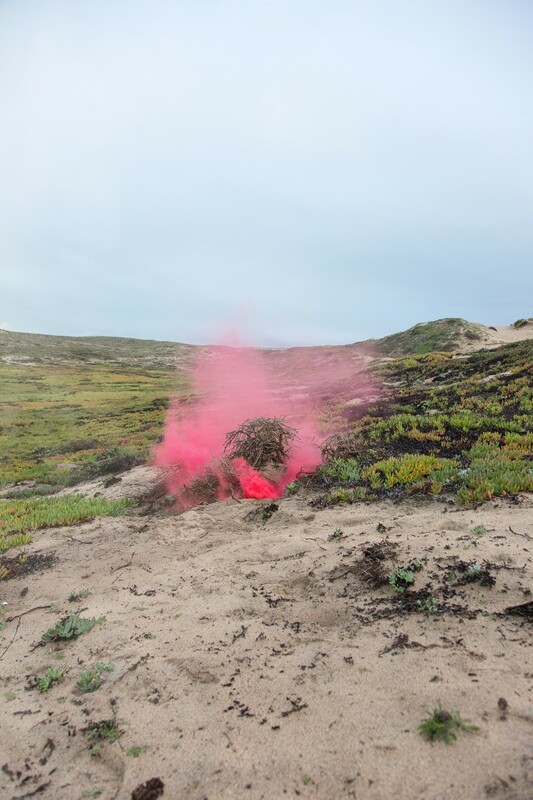 Nothing to Say will be the artist Filippo Minelli’s first solo exhibition in the United States as well as showcase recent work during his travels in California. 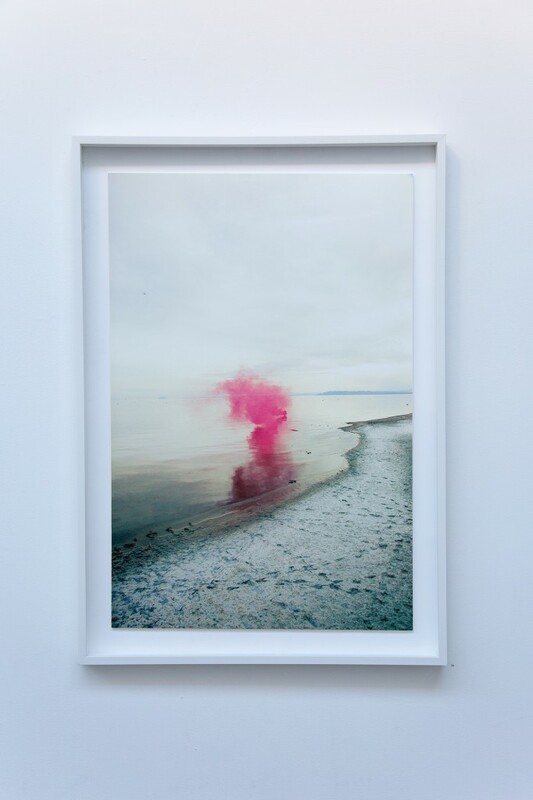 Minelli initiated his series of work titled Silence/Shapes in 2009 inspired by political demonstrations, with the aim of visualizing silence as a physical shape in the landscape by decontextualizing the violent media of smoke grenades and juxtaposing it to the beauty of nature. 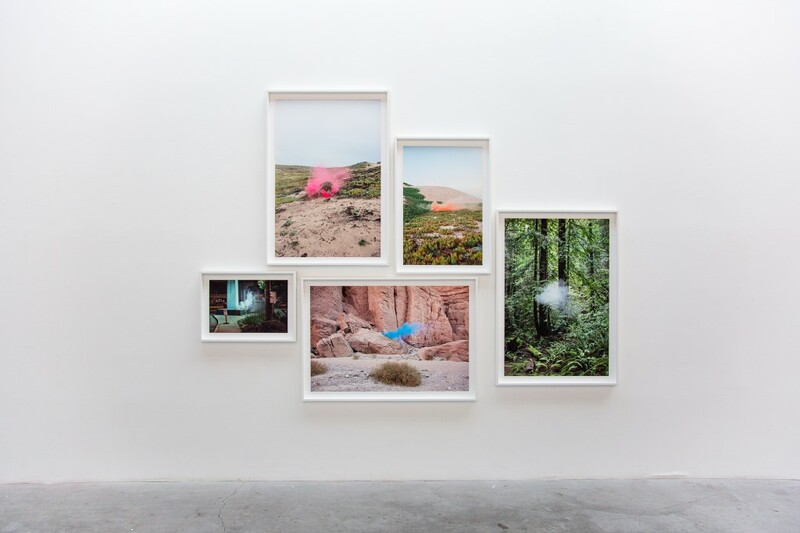 Having produced numerous interventions across Europe, Asia, Africa, and now the US, the artist will focus the exhibition on a series of recent works, most of them created in various areas throughout California specifically for this show. Working in residence as well as traveling the artist will utilize this experience to exhibit for 886 Geary’s Inaugural exhibition. 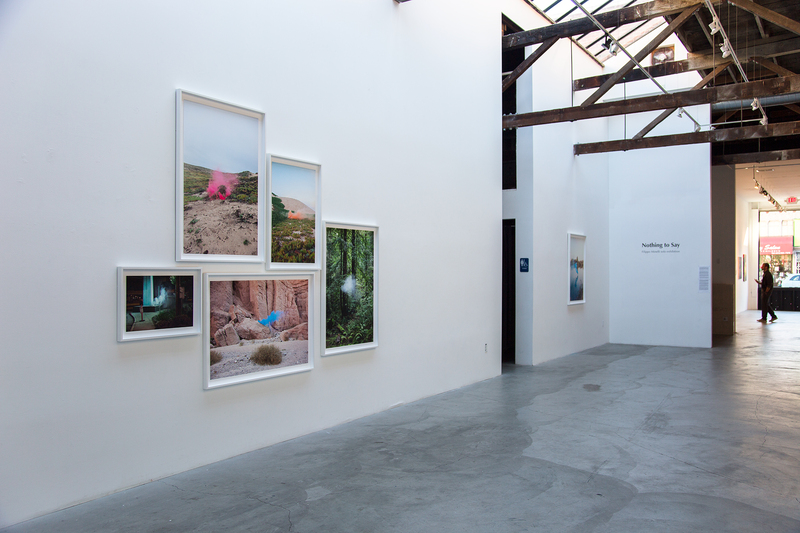 Previous postPhoto Recap Good Guy Boris "Paradigm Shift" Next postRecap RERO solo exhibition by "GATED COMMUNITY…"